St. Mary’s University Writer-in-Residence Diane Gonzales Bertrand won the Middle Grade/Young Adult Discovery Prize in the 2014 Writers’ League of Texas Books Awards for her book, There’s a Name for this Feeling / Hay un nombre para lo que siento. Bertrand has received positive feedback from readers. “Winning the award is very affirming, but getting letters from teens who have read the book and enjoyed it makes for an even better reward,” she said. 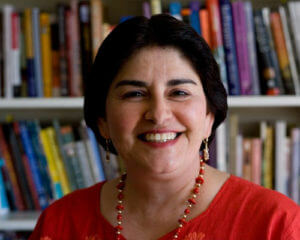 Bertrand has received numerous accolades for her work, including Best Latino Children’s Book in 2014 by Speaking Latino.com for Cecilia and Miguel are Best Friends / Cecilia y Miguel son Mejores Amigos, and finalist for the 2013 Tejas Star Book Award for Sofia and the Purple Dress.